Dollhouse Accessories can be as Unique as You are. In Scale Dollhouse Accessories. To start with your dollshouse is an expression of who you are. So why not get as much fun out of it as possible. Sure it takes a bit of planning and patience to achieve your desired look but it is very rewarding to have stayed the coarse you've set for yourself and succeeded. So don't just settle for whatever the "run of the mill" look is with your own dollhouse accessories. Try different ideas and techniques to get the most out of your in scale creations. It is after all, up to you. We know, we sometimes wish someone else would make these dollhouse accessories for us. But then they would also reap all of our rewards, would they not? Plus, end up having all our fun on top of it, too! So start with tiny steps and plan to succeed. It will happen. You CAN have what you want. Starting here and now, let's plan what you CAN do. Another way to gain information on construction ideas you may be wanting. Is to invest in our favorite software program. 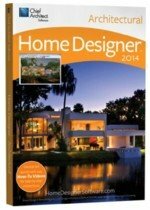 Use Home Designer to get the extra knowledge you are looking for. They provide numerous videos, tutorials and online help. You can access this info on YouTube.com or conveniently from there extensive website. Either way you will be well on your way to developing the mini structural talent you desire. Could you want for anything else than to have a tiny kitchen that was as imaginative and unique as a real one? And if that's the case why not include the finer details? and if all of the above why not food? Oh to continue on your journey in this childlike hobby envisioning the most stylish scale kitchen possible. Now that would be a true labor of love for any miniaturist. All to be introduced to places like your tiny bedrooms. And awesomely coordinated with those cute in character beds. Begin now to imagine all the things you can do to make your little mansion come alive. Right before your eyes. Is it not the most rewarding hobby we know of today? Thinking of the interior design though, what mini mansion is complete without people? They need your attention too. How's about designer clothes? Maybe even clothes that you made? But not into your own designs? No fear there are people who love making tiny clothes just for your dolls. But still it is exciting to be able to say "I made these dollhouse accessories myself". But both ways are great of course. All told creating the details of your tiny dwelling can be the most rewarding experience of this year. We know, however, that this page has dealt mostly with mini kitchen components. ....left to explore, so drop by often as we add more to each of these awesome categories in the days to come. From us at-the-Doll-House.com we hope you truly enjoy your journey with us. Keep in touch, don't be a stranger, we love you to visit us often. Special Note: On this page there are provided a number of illustrations. The ones with prices beside them you can still acquire. However if you find ones without prices those may be discontinued items. They are still an interesting study though. Plus the links to them may still be live. Study each one to give yourself more personal design ideas. from our Online Toy Shoppe now!